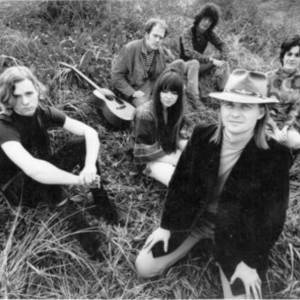 It's a Beautiful Day was a band formed on a beautiful day in San Francisco in 1967, and was the brainchild of violinist and vocalist David LaFlamme. David has been in a band called Orkustra with Bobby Beausoleil. The other members were David's wife Linda (keyboards), Pattie Santos (vocals), Hal Wagenet (guitar), Mitchell Holman (bass) and Val Fuentes (drums). Their debut album, the self-titled It's A Beautiful Day, was released in 1969. They were a bit of a latecomer in the psychedelic scene, often considered to be one of the "second wave" bands that emerged from the San Francisco Bay Area. A few years later, IABD did a copy of Deep Purple's "Wring That Neck"
By 1970 the original lineup of the band had changed a little (David and Linda had split up: David stayed, Linda left the band, and Fred Webb replaced her), but their next album, Marrying Maiden, released in 1970, still included some popular tracks and didn't fail to chart. The band continued to record (Choice Quality Stuff in 1971 and the live album Live at Carnegie Hall in 1972) and tour until 1974. Although they were still able to produce some very popular tunes, they couldn't generate the interest which they'd enjoyed in previous years. In 1974, they dissolved. Sadly, Pattie Santos was killed in a car crash on December 14, 1989. It's a Beautiful Day reunited in 1997. The band still features founder David LaFlamme and original drummer Val Fuentes. They have recently completed an excellent string of shows in 2005 and plan to continue playing in 2006 and beyond.